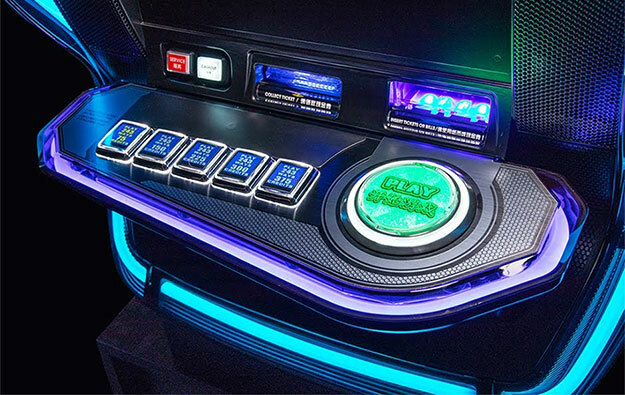 Japanese gaming-equipment maker Sega Sammy Creation Inc says it will introduce its new game cabinet Genesis Star in casinos in Macau and elsewhere in Asia later this year. Sega Sammy Creation announced on Monday that its latest cabinet featured unique LED-lighting and button vibration systems. The company said the LED system imitates classic neon lighting to attract the attention of players and reacts to scenes from gameplay. In addition, the cabinet’s play button vibrates in conjunction with the lighting display. Sega Sammy Creation said the lighting sets the cabinet apart from the competition and delivers an “immersive experience”. The Genesis Star cabinet has dual HD monitors with an integrated touch screen, a control panel designed to decrease a player’s physical stress when pushing the buttons, and a sliding door in the belly for easy access for maintenance. A “diverse” range of themes will be available for the Genesis Star cabinet, including some based on renowned Sega video games, the firm stated. “This milestone represents a huge opportunity for us to grow our presence in the worldwide gaming market,” said Sega Sammy Creation president and chief executive Hisao Oguchi of the new cabinet. The company did not specify a release date for the cabinet, other than to say this year. The Japanese company has been active in Macau: early this year, it installed a standalone electronic gaming machine, Baccarat Maximum Fortune, at MGM Macau, the Macau peninsula property run by MGM China Holdings Ltd. The product was installed on January 23. Baccarat Maximum Fortune was released last year and had been installed previously at MGM Cotai, another property run by MGM China.